So today I want to talk about Wardrobe Care Essentials. What exactly are wardrobe care essentials? Well, they are items that you can use to help prolong the lifetime of your clothing. Sustainability isn’t just about buying organic or eco clothing, it’s also about taking care of the clothing you already have. Society has taught us that it’s ok to head out to the shops, but a cheap shirt, wear it a few times and then toss it. But what if we all stopped doing this and actually went out bought something nice and actually took care of it!!!! What a grand idea! The thing I want to stress to you about clothing, you don’t have to go out and spend a fortune on your wardrobe, you can buy something from the high street and make it last. Just treat it like it’s a Chloe piece instead of a Topshop piece. Treat every single one of your garments with care. Pay attention to wash labels, store your clothing properly, hang your clothes on velvet hangers. All these things will prolong the life of your garments. 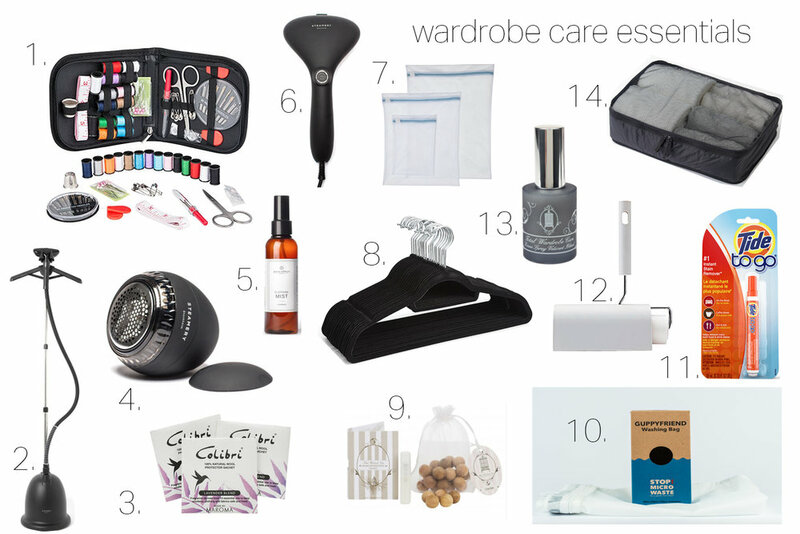 I’ve compiled all my must-have wardrobe care essentials for you here. Each one of these essentials will help care for your wardrobe. Home Sewing Kit - Super important. You don’t have to be a gifted sewer to sew on a button or fix a seam. Anyone can do this. All you need is a needle and a thread. Steamery Steamer - A steamer will save your life. 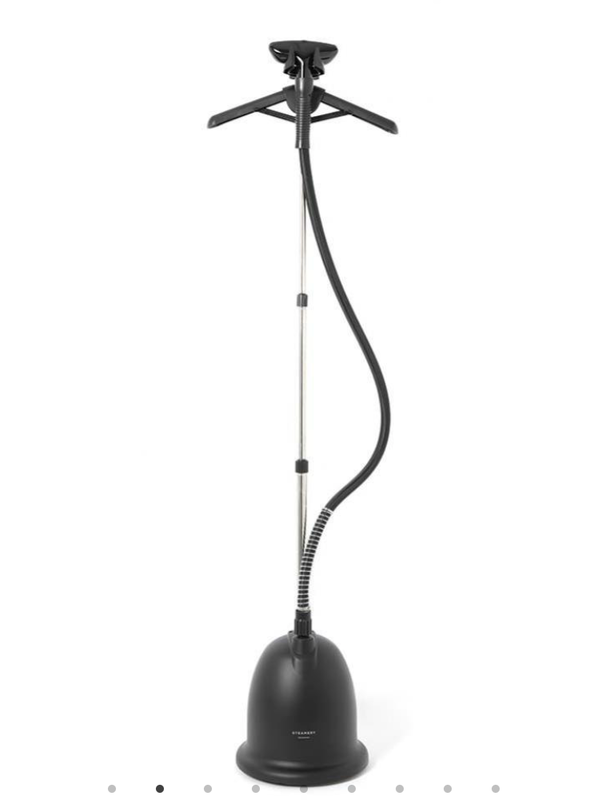 I have a professional steamer because I use it for work (clothing design and styling) but I also have it for personal reasons. I hate to iron and I hate wrinkled clothing. So a steamer is a natural choice for me. I encourage everyone to buy one. No more ironing!!!! My husband now steams all his work shirts. You can purchase a cheap steamer for your home from any home appliance store. John Lewis, Morplan, Argos, Amazon all have them, I promise you will thank me for this! 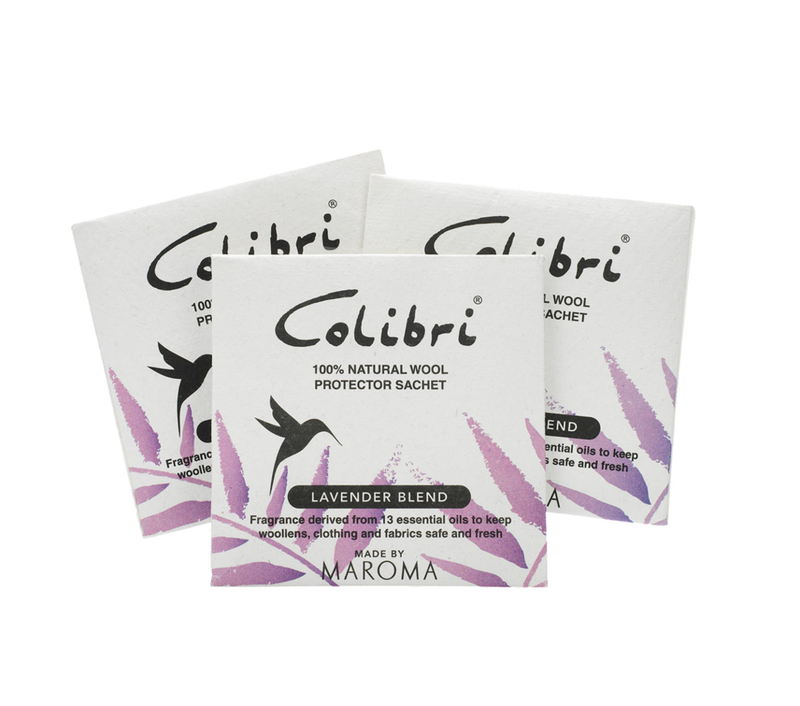 Colibri Lavender Sachets - I I put these in all of my drawers. They help keep the moths away and keep your clothes smelling nice. You can purchase these anywhere, John Lewis, Amazon, Bio Markt. Steamer Fabric Shaver - Don’t you hate it when your favourite jumper starts to pill? I know I do. 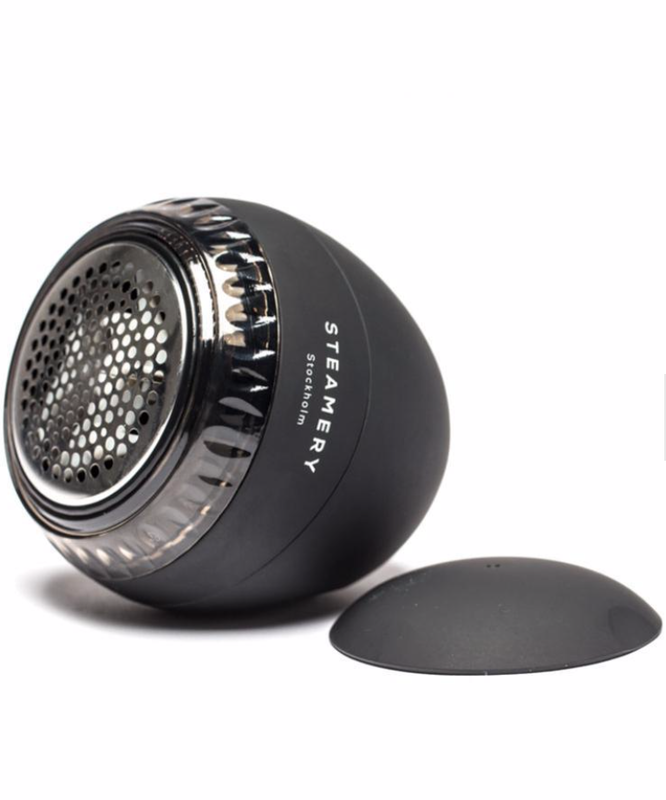 A fabric shaver will help remove those annoying little balls from your knitwear, I just discovered the brand Steamery and they have the cutest little fabric shaver. This will be in my styling kit very soon. Steamery Travel Steamer - If you don’t want to spend the money on a full-size steamer then think about a travel steamer. It’s light and doesn't take up much space and it does the job. I have a travel steamer because I travel a lot and it comes in handy. Steamery Clothing Spray - So you’ve found this amazing vintage leopard print coat, but its smells like it’s been in someones attic for about 20 years. You take it to the dry cleaner, it’s better but still has a bit of the attic smell. What do you do? You don’t want the rest of your wardrobe to stink like this too. I recommend using a nice smelling clothing spray like this Steamery one. Spray you vintage jacket, hang it outside for the night and viola no more attic smell. 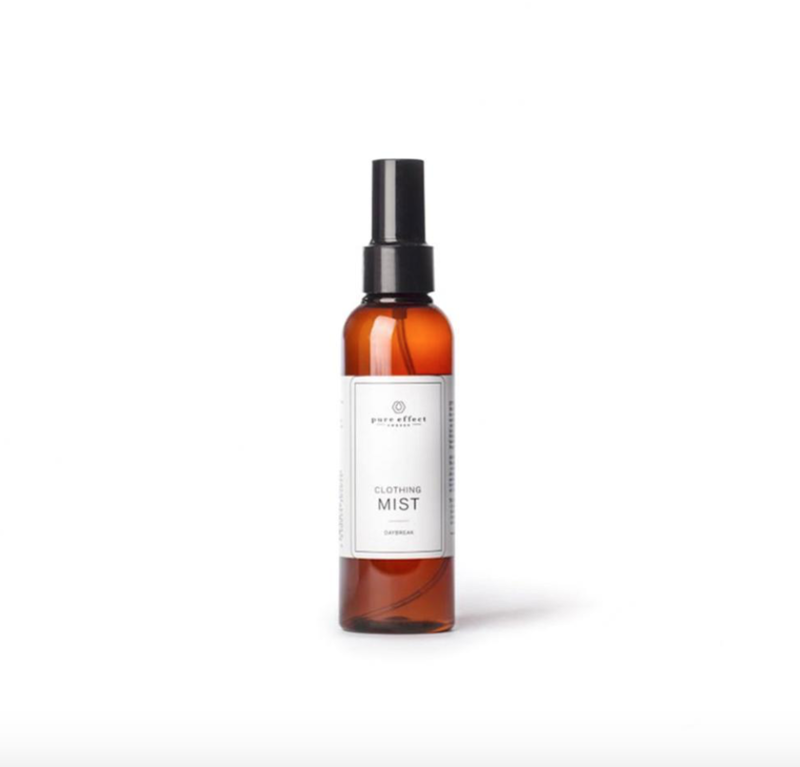 Clothing spray is great for keeping a nice fresh smell in your wardrobe. And it’s great for travelling too. John Lewis Clothing Wash Bags - These are great for delicate fabrics and can help keep certain clothing pieces from rubbing against other pieces. Total Wardrobe Care Cedar balls - I love just love cedar balls. They smell so nice. I put them in all of our drawers. My husband just loves them too. They also help keep away moths. Black Velvet Hangers - Stop using wire hangers!!!!!! If you want the shoulder seams of your beautiful dresses to stay nice and aligned then use velvet hangers. Simple. You can purchase these on Amazon or at Homebase, etc. Guppyfriend Wash Bag - Synthetic fibers (which are plastic) make up 60 percent of our clothes worldwide. Synthetic plastic fibers are cheap and extremely versatile, but these fibres contribute to ocean plastic pollution in a major way. Estimates vary, but it’s possible that a single load of laundry could release hundreds of thousands of fibers from our clothes into the water supply. The guppy friend wash bag collects all these micro fibres so they don’t end up in our water supply. Tide Spot Remover - I carry this pen wherever I go. You never know when you’ll need it. I purchased these pens in the States but I have listed another brand that can be purchased on Amazon. You can find a spot remover pen in most Asdas or any store that has a laundry care department. Muji Lint Roller - This roller is hands down the best lint roller I have ever owned! I love the sturdy holder and handle. You can also purchase replacement tape rolls when you run out. Yes this one is a bit bigger but for your home it’s perfect. No more walking out of the house with hair or fur on you. Big no no. Total Wardrobe Care Clothing Spray - I have used this spray for years and years and years. I worked at a high-end vintage clothing boutique in London several years ago and this is what we used to keep the clothing nice and fresh and moth free. It’s a clothing saver. 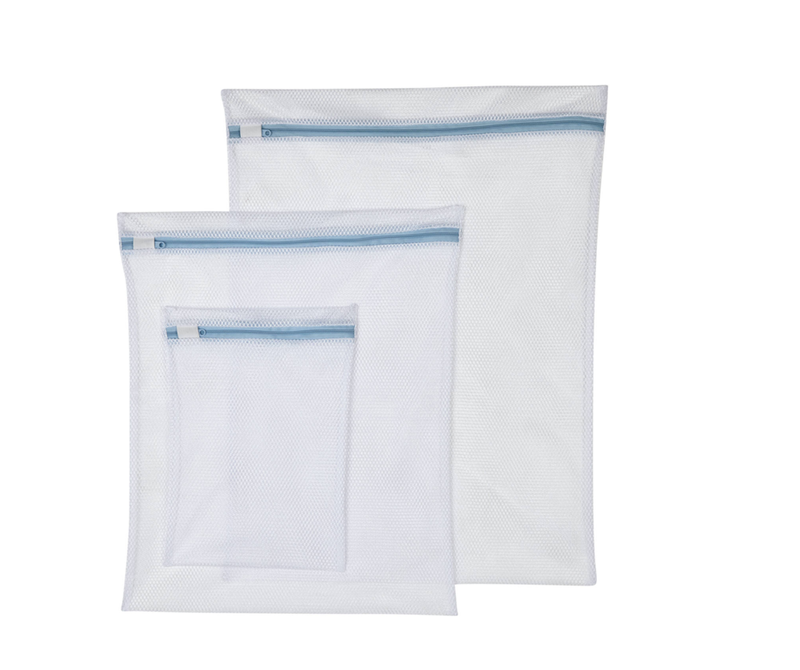 Muji Garment Bags - These bags are great for delicate clothing pieces such as a cashmere jumper or a nice silk top. Fold and store these pieces in a garment bag and they will last forever. These bags are also great for travelling. So there you have it. My top wardrobe care essential must-haves. These have all worked for me. I hope they can help keep your wardrobe lasting longer now too.